All of us here at Spark Orthodontics of Reading, PA have heard the expression “an ounce of prevention is worth a pound of cure”. Taking this to heart can make our teeth stronger and brighter if we eat the right foods to support that healthy smile. Leafy Vegetables and High Fiber Foods – Eating a salad or dish of beans requires a lot of chewing and a great way to wash your teeth. Biting into an apple scrubs your teeth also. Chewing generates saliva and the food scrubs your teeth as you chew it into little pieces. It’s like a tooth cleaning dog treat. Strawberries for Whitening Teeth – Strawberries contain malic acid and are a natural whitening agent. Sugarless Gum – Sugarless gum helps clean teeth by stimulating saliva production when you chew. Saliva aids in washing away acids created by bacteria in your mouth. Also, many types of sugarless gum are sweetened with xylitol, an alcohol that reduces bacteria in the mouth as you chew. At Spark Orthodontics of Reading, PA we do not recommend chewing gum while wearing braces, but once removed, sugarless gum can help maintain your beautiful new smile! 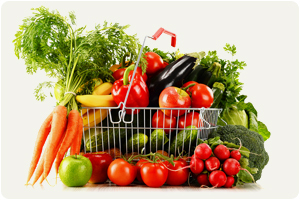 Changing our eating habits to reflect a healthier lifestyle is not easy but it is very much worth the effort. This information is not meant as medical advice. It is provided solely for education. Our Reading orthodontic office would be pleased to discuss your unique circumstances and needs as they relate to these topics. Dr. Jason Hartman, an award-winning orthodontist in Reading, PA offers the most advanced braces for children, teens and adults, including Invisalign, clear ceramic braces, metal braces and orthodontic treatment. 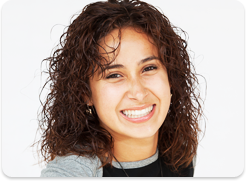 Contact us today for a free Invisalign consultation and exam at one of our PA orthodontic offices. With nine convenient orthodontic offices located in Reading, PA, Bethlehem, PA, Schuylkill Haven, PA, Schnecksville, PA, Lancaster, PA, York, PA, Hazleton, PA, Danville, PA and Freeland, PA, there is sure to be an office conveniently located near you. 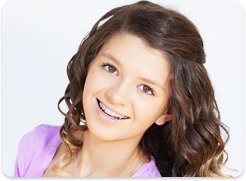 Call us today for a complimentary consultation for braces at any of our nine orthodontic offices in PA!